It’s a story that he hasn’t told anyone for fifty years. A secret that he’s kept ever since he grew tired of the disbelieving faces and doctors’ reports advising medication. He’s been careful. 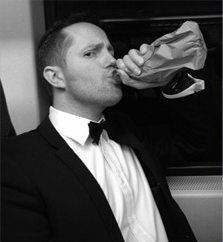 He hasn’t even touched a single drop of booze since that one, fateful evening. This is why his decision on this day – the decision to have three drinks – will change the life of bright young waitress Lisa Willoughby forever. 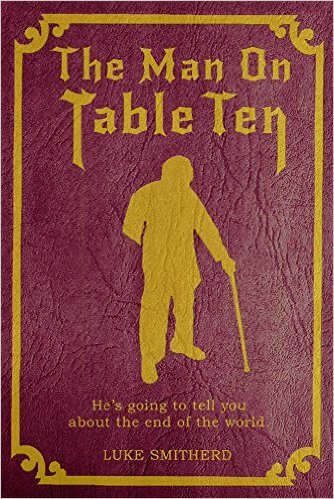 For today,The Man On Table Ten has decided that he wants to share his incredible tale. Twilight Zone … but there is something about his impossibly blue eyes that Lisa just cannot ignore. All of that will come later. For now, The Man On Table Ten is talking; pull up a chair. After all, it wouldn’t be the end of the world if you did, would it?